Fleet professionals know the stomach-turning sensation when the economy takes a rollercoaster dive. In recent months, business is anything but usual. In such cases, an alternative to disposing of aging equipment is keeping it longer, making repairs, and shooting for a second lifecycle. Accurate historical data allow repairs to extend equipment life. Pat Crail, CEM, John R. Jurgensen, says, "You're basically weighing replacing the machine versus running it another year, realizing you may have to perform a major repair if it breaks. "If things get slow, you can't get the utilization you need out of the machine. With the repair option, you take a gamble, but the repair option is really risk management. The risk is, if you should have a great year with high utilization, you wind up replacing some major components that you didn't expect," he says. When you weigh those component replacements and major overhauls against the capital outlay you would have made in a new unit, it could be well worth the risk, Crail says. Todd Perrine, CEM, Leslie Equipment, suggests managers do a cost analysis. One formula that has stood Perrine in good stead over the years is to look at what the older machine costs per hour to run; then look at the new machine and figure out how many hours you will run it, the number of out-of-service hours that you won't have with the new machine, and then evaluate the current need of your company. If repair is the option, he says, "Think about how long you want to run that machine after you repair it. Do you want to get a complete second life out of it, or are you just trying to buy time to get you out of a pinch, get some jobs working, and improve cash flow until you can afford to buy a new unit?" Do new models bring substantial improvements in production, ergonomics or performance that add value worth replacement? Would a new machine with a higher-Tier engine reduce the fleet's carbon footprint? Is the cost difference worth the unknowns, such machine performance post-repair? "Repairs certainly are an option right now," Perrine says. "If you have an undercarriage repaired for $13,000, that makes sense rather than lose $10,000 or $15,000 in equity because equipment purchases are so bad right now." Like cattlemen in the Old West, there comes a time when fleet professionals have to thin the herd, that is, sell or trade aging equipment. We'll look at five options: trade-ins, auctions, selling direct to another user, like-kind exchange (really a form of financing), and equipment brokers. Fleet managers should understand and be able to evaluate the advantages and disadvantages of each method in order to decide which option works best for any given machine. Paul Hendrix, equipment pricing analyst for IronPlanet, has seen the machine-disposal world from all sides. During the past 20 years, he has worked on the sales side for two major OEMs, has sold used equipment through a used-machine dealership, and has worked for both of the country's largest auction houses. "I've been exposed to these transactions from a lot of different angles," Hendrix says. "I've dealt with just about every one of these ways to dispose of equipment, including like-kind exchange." The advantage of trade-in, he says, is convenience for the seller. Relationships with the dealer have already been established and so has the level of trust. "Convenience is something that is very high on most contractors' list right now," he says. "They have so many irons in the fire that they simply don't have time to dispose of used assets on their own." Trade-ins also provide a flexible transaction that allows fleet managers to trade multiple units or only one unit. Usually the deal can be done at one place, and a trade-in can become a negotiation point if new equipment is being purchased. The downside of trade-ins, Hendrix says, is that the price could be at or below wholesale, especially if the seller doesn't know the market and the demand for that piece of equipment. "The way dealers show the numbers to a seller is through over-allowance," Hendrix says. "They fluff up the number on the new unit and show more for the trade than the actual number, which is much lower. That over-allowance is compensated for by the new piece involved in the trade-in. It all comes down to the seller's level of knowledge. He's really got to be aware of what's going on." Barth Burgett, CEM, vice president of of equipment and support, Kokosing Construction, says about the only advantage to trade-ins is that it's a fast way to dispose of equipment. "We only use trade-ins as the last method of equipment disposal," Burgett says. In the present down economy, dealers may be more inclined to take more risks on what the trade-in is worth, he says, but in a seller's market, "you don't get your true value." "The dealer has hidden pockets, meaning there is a lot of negotiating that goes along with a trade-in," Burgett says. "Dealers tend to put more value on the new unit (since) they don't know what they are going to get out of the trade-in unit." Pat Crail, CEM, fleet information manager, John R. Jurgensen Company, also advises sellers "to look at the entire deal" when it comes to trade-ins. One reason, is because the seller is depending on the "regional footprint" of the market, which might not yield top value. "You may sacrifice some residual value in that machine for the ease of disposal," he says. Crail concurs, however, that a trade-in can be advantageous when it's connected with the purchase of a new machine. "Sometimes you can get a pretty good deal with very little effort." Another trade-in advantage, said Guy Gordon, CEM, director of asset management, Insituform Technologies, is that it's a simple process. "If I accept the value offered by the dealer, I just trade," Gordon says. "I don't have to prep the machine for sale. I don't have to transport it a long distance. I don't have to market it, and I don't have to deal with third parties, that is, handling bills of sale and making sure I'm covered through liability." As a former equipment manager and now on the dealer side, Todd Perrine, CEM, Leslie Equipment, identified two advantages of trade-ins. One, a good relationship with a dealer allows the dealer to know a lot about the machine. He has historical records that show how the machine has been serviced, how often, and what was done. With this type of documentation, Perrine says, the dealer will give more value for the trade-in. On the other hand, if there are no historical files, a trade-in won't provide top value. "If the equipment is in really bad shape and you don't have records on it, you won't get a good price at trade-in," Perrine says. A second advantage is that dealers know how much they can obtain for the unit, which means there is no question about what the seller receives for the trade-in. By comparison, he says, "auctions are a crap shoot. The price may be good one day but not the next. Also, have your accounting folks look at the tax breaks both ways." Auctions do have advantages, Perrine says. Equipment is guaranteed to sell and provide a quick return on investment. There is a much wider audience of potential buyers, depending on whether the auction is online or local. 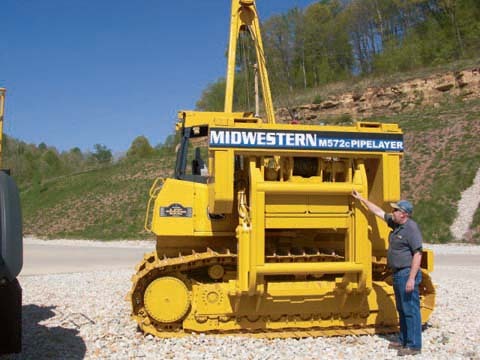 Auctions are good when downsizing fleet and liquidating some equipment. Indeed, says IronPlanet's Hendrix, auctions have evolved into an effective fleet-management tool. "The biggest difference between online auctions, as we have, and traditional auctions, is that traditional auctions offer more services, such as painting, detailing, minor repairs," Hendrix says. "But the mark up for these services is pretty substantial. 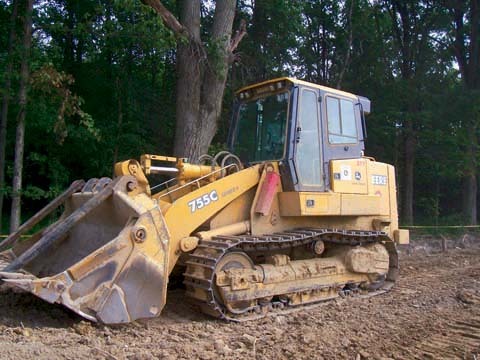 With online auctions, the piece of equipment stays in your yard, you maintain control over it, and you decide what repairs, if any, should be done." Gordon says an advantage of online auctions is the seller does not have to transport his equipment. They also offer inspection services that provide potential buyers with detailed reports on a particular unit. "They touch on key aspects of the equipment and give you information that is substantial to help you through the bidding process," he says. Auctions can be reserve or no-reserve. 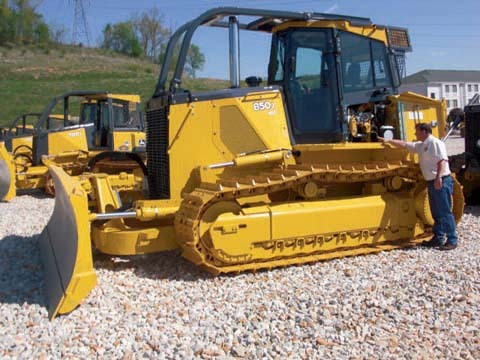 No-reserve auctions usually have stringent guidelines to which sellers must agree, such as the seller won't bid on his own equipment, will not have a representative to bid on his equipment, and will not buy his own equipment. In a no-reserve auction, Gordon says, the seller is agreeing to sell the machine for whatever the highest bid is. A reserve auction allows the seller to set the lowest price he is willing to accept. If the bid doesn't reach that price, the seller is given an opportunity to sell the equipment at the highest bid that came in or to pull it from the auction and take the equipment home. Crail is a strong believer in auctions, he says. "In the last three or four years, our company has been pretty heavily tilted toward auctions. You get a pretty good return if you are dealing with an auctioneer who is plugged into the global market. But you do have to pay close attention to recent auction values, particularly a no-reserve auction." 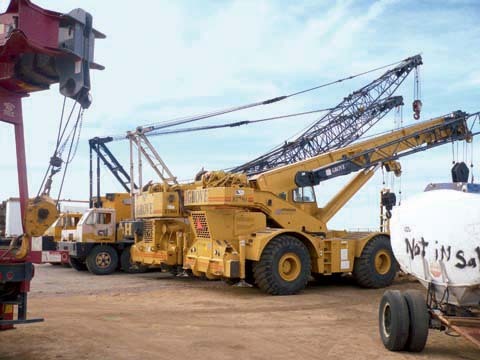 Crail advises fleet managers to research prices in the marketplace and check recent auctions to see what a particular class of equipment sold for. "You don't want to get any surprises on auction day," he says. Burgett's take on auctions is quite different. "It's like a dead man walking," he says. "They really want to get your machine in the auction; then it sells below what you wanted. The auctioneer has no risks, just the outlay for the service. If the machine brings only X amount, he still gets his 8 or 10 or 12 percent for performing the service. The least choice of getting rid of equipment is between a trade-in and an auction. At auctions you have the least amount of control in determining your own destiny." Auctions are usually not a good choice for specialized equipment, such as tunnel-boring machines or any machine built for a particular type project. A highly specialized machine put into an auction would end up targeted to a small bidding population, Gordon says. "They don't do that well," Gordon says. "In cases like that, with a limited number of people in the market, selling the equipment yourself to another user is probably the best way to go." The seller can set the price when selling to a user directly, Gordon says. "For the most part, if you have someone who is familiar with the equipment and the quality of your equipment is good, backed by good records, you may get a higher price than you could at trade-in or auctions." The downside, however, is that you have to deal with customers, do all the paperwork yourself, and make sure your liability is covered, he says. Burgett said Kokosing disposes of most of its equipment by selling to another user. "We try to sell to other contractors," he says. "You may not get your information out to as many people, but we have seen better returns and less risk by doing it this way." The biggest challenge is to get word to the right person. If you do that, the equipment will sell, he says. "You might have to hold onto the equipment longer, but you will get a fairer return on your investment." Crail hasn't had such success. "We haven't had a lot of luck selling direct to another user," he says. "I'm not a big fan of that because it consumes so much effort and energy on the part of fleet managers. They already are over-loaded. There isn't enough time in the day to perform the duties we already have. With direct selling, you are becoming a used-equipment salesman. People want to come by, take a look, and kick tires. And often, you are limiting yourself to the local or regional marketing conditions." Another disposal method defers taxes, Burgett says. Like-kind exchange is a financial concept that boils down to how you get paid, he says. "The money you receive from the sale of a piece of equipment does not come directly to you," says Burgett. "It goes to a third party, such as a bank or even an auction house to be used to purchase a piece of new equipment at a time still to be determined. On large sales where there is a chance of having to pay capital-gains tax, you get the funds transferred knowing that you are going to spend it on another asset." IronPlanet's Hendrix says like-kind exchange is "a great tool." "If someone tells you that you have to pay $10,000 in taxes and you can pay it this year or four years from now, most people will opt to pay it four years from now." Like-kind exchange has strict parameters, Hendrix says. For instance, if you decide to trade or dispose of Asset A and buy Asset B after you dispose of Asset A, you cannot accept the funds directly. After the item sells, you have only a certain amount of time to complete the transaction by buying the new equipment. "If you miss any of the deadlines," he says, "all bets are off." Like-kind exchange must be used in moderation, says Hendrix. If not, it can lead to trouble. "I knew someone who used like-kind exchange frequently and it worked well for him," he says. "He did this for several years, buying several pieces of equipment. But what happened, the books showed he had accumulated a fairly large tax liability that was deferred. Unfortunately, the man's health declined due to cancer, there were no family heirs who wanted the business, and he wanted to sell it. The guy had a hard time getting the company sold at a time when he really needed those assets." Equipment brokers offer a fifth avenue for disposal. Burgett says Kokosing probably sells as much equipment through brokers as any other method. "A lot of equipment moved through brokers leave the U.S. and go to other locations," he says. "They come in, look at the equipment, and typically already have another buyer who is looking for that particular unit. I'd rather deal with brokers than auctions." Crail says Jurgensen occassionally uses brokers, too. "It's not frequent, but if we have something and we are not comfortable with recent auction prices and we want to get the machine out of the fleet, we might be able to get better value using a broker." A year and a half ago, Crail says, calls from equipment brokers were more common, but in the past nine months equipment has become easier to come by. "We don't have people beating the door down to buy equipment." And at IronPlanet, Hendrix says he deals with equipment brokers on a regular basis. "They come in and out of our business often. For the seller, one big advantage is just the relationship. Many brokers do a very good job connecting buyers and sellers. That relationship between broker and contractor is built on trust, and the only downside is if that trust is broken. If that happens, it can be very painful."